Homemade stand for a laptop made of wood. 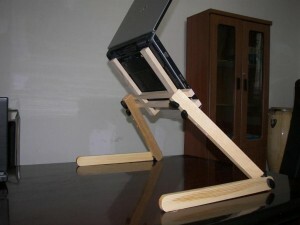 An example of creating a neat and cuteLooks like a laptop stand made of wood. If it is still painted and varnished, then a fairly serious competitor to the factory analogs will come out, and much cheaper and ... light, which is also important.